Legs are kept generously long after milling for them to be proud of the seat surface. This also allows the final bottom cuts to be delayed until final test fitting. 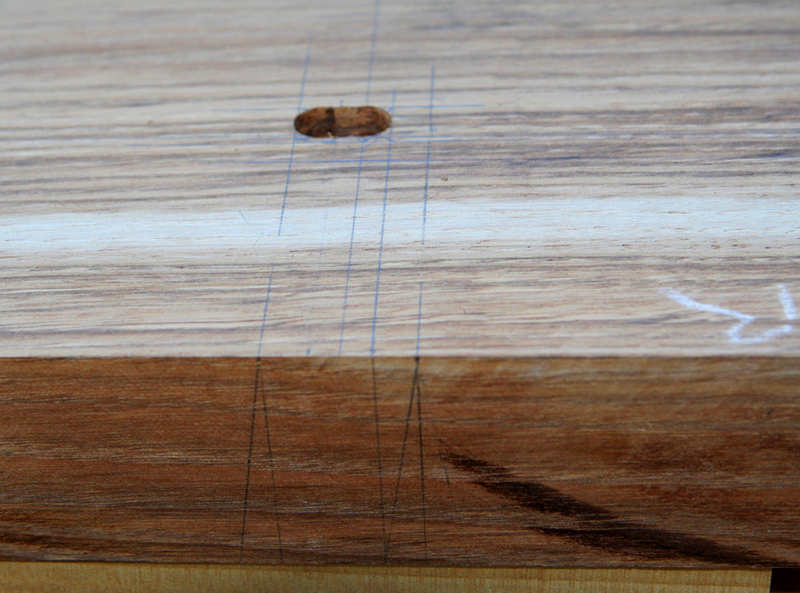 Tenons are marked on all sides indicating the compound angles. 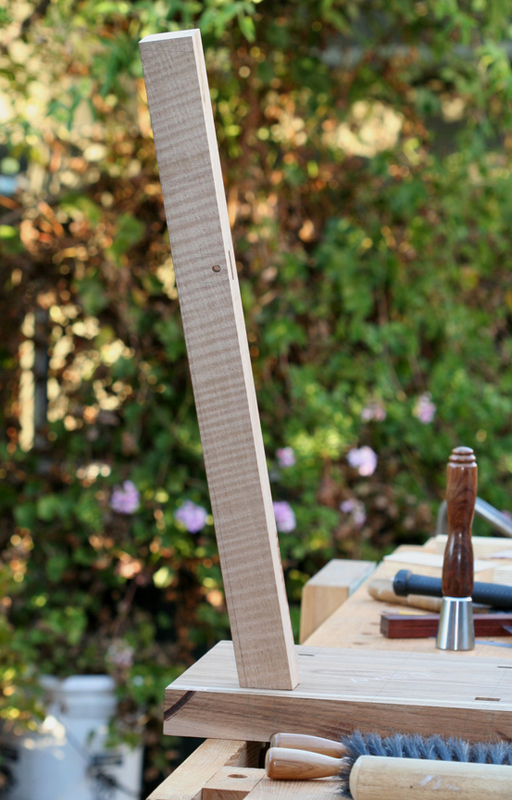 Initial tenon cheek cuts are made at the band saw, then completed by hand to the layout lines. 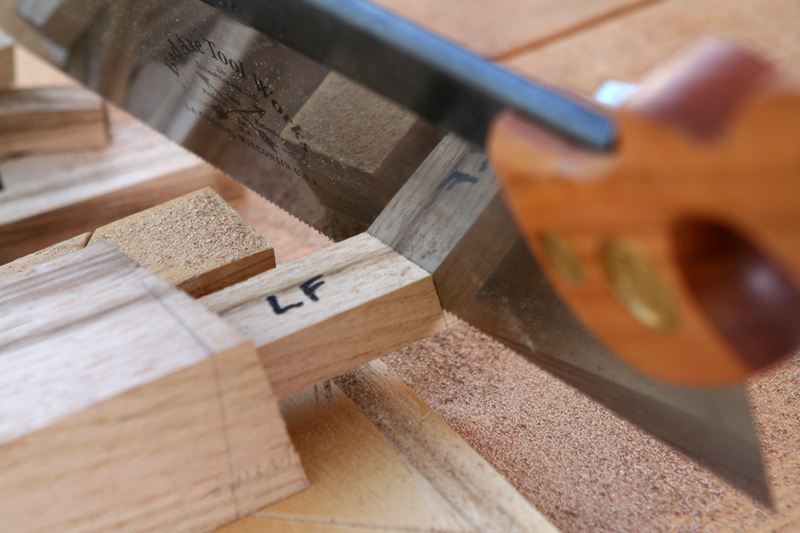 Shoulder cuts are made shy of the lines, then completed with a chisel. 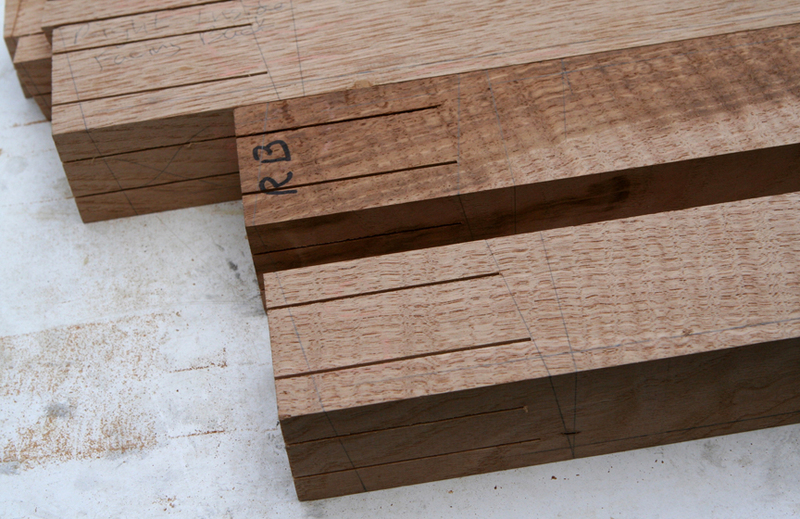 The tenons were then trimmed to rough length. After the test fit to the seat with sculpting completed, they will be marked for further trimming to 1/8 inch proud. 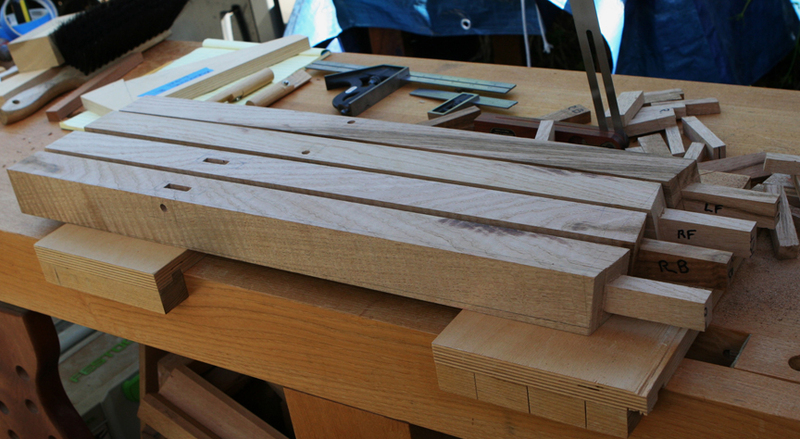 After wedging the tenons will be taken flush. 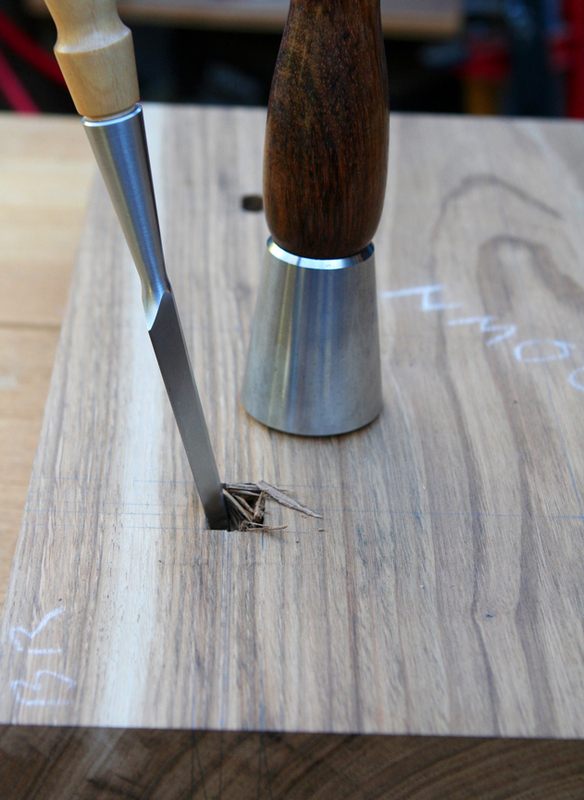 Seat mortises are marked on the surface as well as the near edges to guide chisel work. 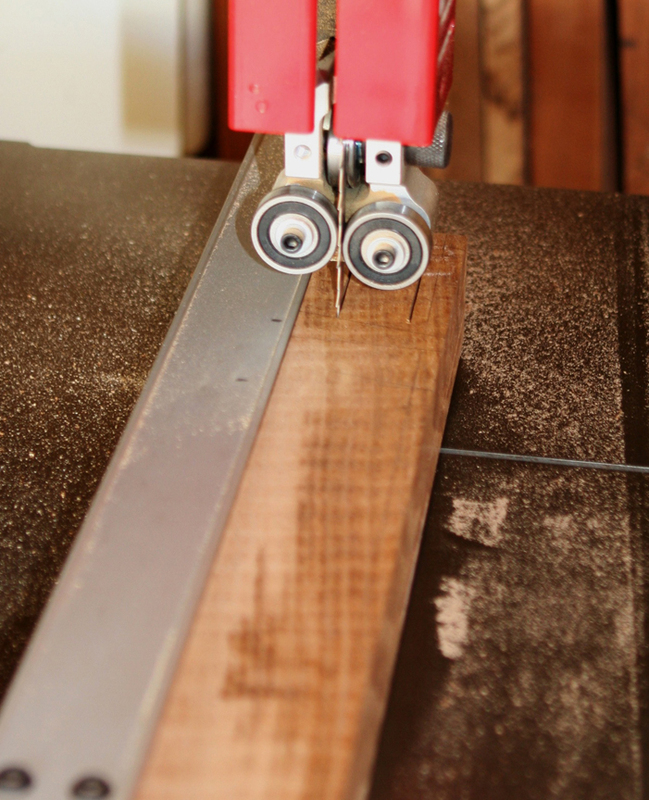 Initial material removal is made at drill press. 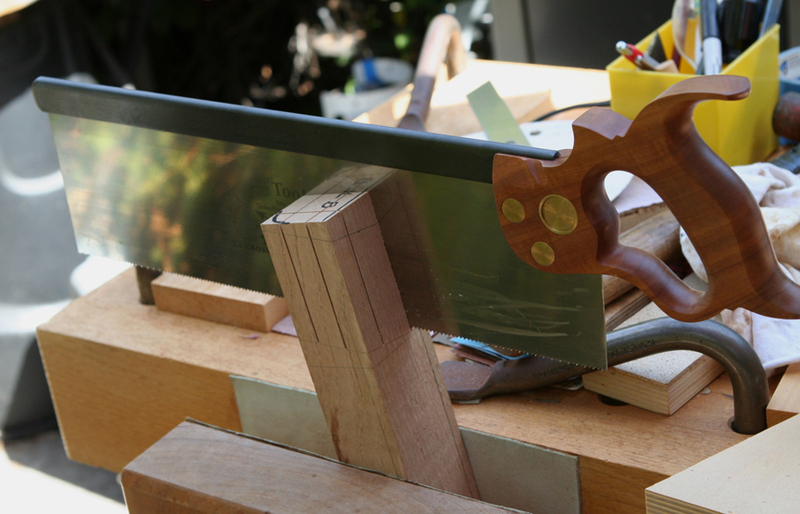 A test fit will guide any necessary chisel finessing.